What, no concept of “cooties” in American childhood anymore? No more mindless running around, laughing and trying to dodge and avoid the kid who had “cooties” and, with a simple tag, could pass them on to you? No discussions among young boys about girls having “cooties”? No generalized lack of understanding of what “cooties” were supposed to be, or why they had that name, but just a fervent belief that you didn’t want to have them, whatever the heck they were? Is “cooties” one of those stupid but fun childhood things that has hit the cutting room floor in the modern, ultra-sensitive, PC world? Then I stumbled across an article that sought to bring some real analysis to bear on the “cooties” issue. The Smithsonian applied scientific rigor to the concept of “cooties,” and take a careful look at a key question: if “cooties” were real, what actual disease would they be? After looking at the key attributes of “cooties” — being instant communicable through physical contact, common, and highly contagious, but with no outward signs of debilitating disease — and eliminating candidates like pinkeye, plague, and leprosy, The Smithsonian concluded that meningitis came closest. And notably, The Smithsonian also concluded that the concept of “cooties” among children has some value, because it gives kids “a decent, albeit rudimentary, approximation for how disease functions” and allows them “to learn about infectious disease in a semi-sanitary, innocuous manner.” So, “cooties” is a good thing? There’s a first time for everything. That’s what happens when my Inner Grandma surges to the fore. “Inner Grandma” refers to the vast repository of sayings that immediately come to mind about the small realities of everyday life, like weather, and eating, and getting up in the morning, and how you’re feeling today. All of the sayings were chiseled deeply into the synapses of my cerebral cortex as a result of spending huge chunks of my formative years with my mother and my two grandmothers, all of whom used some of the same core sayings. I probably heard them hundreds of times as a callow youth, and was proud of myself the first time I used them correctly and participated in a conversation with Mom or Grandma Webner or Grandma Neal. Now those sayings bubble up, involuntarily, whenever those everyday moments arise, even though the sayings themselves have long since lost their currency — and don’t even particularly make sense, come to think of it. And that’s just scratching the surface. I guess it shows how much of our thinking is shaped by our childhoods, and how we remain the product of our upbringing long decades after our childhoods have ended. Mom and my grandmothers will always be with me. The Webner family social media wires were burning up yesterday with the news that Swensons, an Akron-area tradition, may be planning on opening up a new hamburger joint in the Columbus area. According to the article, Swensons has begun franchising and has indicated an interest in the Columbus market — they’re just looking for the right place. This potential development burst like a bomb among the members of the Webner clan, because Swensons’ hamburgers were one of the foods we associate with our days growing up as kids in Akron. Some days, we would buy sacks of burgers and milkshakes at Swensons, where to my recollection the meat had a very distinctive, somewhat sweet taste, and then go to the nearby McDonalds to get french fries because Grandpa Neal insisted that McDonalds’ thinner-cut fries were preferable to the Swensons’ variety. Other times, we would go to Sky-Way, just a few miles down Market Street, which also was an old-line burger place. At Sky-Way, you would drive up and park and then get served by kids who would skate up to the window of the car, attached a tray to the drivers’ side door, and bring your order directly to you without falling down. The Sky-Way burgers were good, too, but it was the delivery method that really made an impression. Swensons, or Sky-Way? In Akron, it was the eternal question and the basis for endless debate. The Webners were enumenical on the issue — we happily consumed both. I haven’t had a Swensons burger in years, but it and Sky-Way are enshrined in my fast food memory banks, right up there with the cheeseburgers UJ and Grandma and Grandpa Neal and I got at Riviera Lanes and broasted chicken and the old-fashioned pizza Mom got from a place with an Italian name that I don’t remember. And when I hear that a Swensons might be opening up, I think two things. First, if I go there, will the burgers taste like what I dimly recall and live up to my expectations? And second, if Swensons is coming, can Sky-Way be far behind? The London Daily Mail has an interesting article about creepy sculptures that appear to haunt some of the playgrounds built during the Soviet era in Russia. There’s no doubt that there is a profoundly disturbing, nightmarish quality about some of the figures that could haunt little kids and cause them to avoid the playgrounds altogether. An evil, grinning chimp with fangs? A crying woman in a blue dress? A goateed, wide-eyed doctor in a lab coat ready to plunge some unknown instrument into your skull? A hollow-eyed, distraught boy kneeling on the ground? A bizarre fight between an emaciated bull and a reptilian creature? Who came with this stuff, the psychological warfare section of the KGB? But maybe we’re being too hard on the Soviets. Let’s face it, American playgrounds aren’t exactly free from disturbing stuff, either. Any playground that has a jungle gym, an old-fashioned merry-go-ground, and “monkey bars” is bound to present its share of childhood horror. And the decorations at some playgrounds are unsettling, too. We used to live a block away from a park we called “Yogi Bear Park” because it had a teeter-totter where the fulcrum was a covered by a cheap plastic depiction of the head of Yogi Bear. The adults recognized the figure as Smarter than the Average Bear, but to little kids it was an unknown, apparently grimacing figure wearing a bad hat and a tie. What the parents saw as Yogi, the kids perceived as a weird, lurking presence. Not surprisingly, the tykes tended to steer clear of old Yogi. For that matter, childhood is filled with intentionally scary stuff that suggests that adults get a kick out of frightening youngsters. “Fairy tales” aren’t happy stories about fairies, but horror shows of child-eating witches, child-eating wolves, and other evil creatures ready to devour any wayward kid. Hey, kids! How about a bedtime story? We apparently delight in terrifying children. The Russian playgrounds just bring it out into the open. 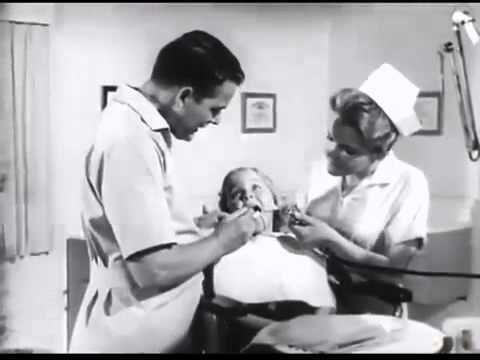 When I was a kid, my trips to the dentist were characterized by two realities: lots of cavities, because my dental hygiene in the face of mass consumption of sugary cereals was intermittent and appalling, and a steadfast opposition to getting the novocaine shot before the inevitable drilling began. Shots don’t bother me, but my first novocaine injection was a disaster. The dentist said I would “feel a pinch” — which seems to have been the standard pre-shot statement used by dentists for the last 50 years, even though no pinch feels remotely like a novocaine injection — and the next thing I knew a huge, bulky hypodermic needle was sliding between my gum and lip and then burrowing deep into the nerve clusters down there. It hurt like hell, so I started to refuse the novocaine shot in favor of a no-numbing, tough-it-out approach to the inevitable cavity excavation. This was not an easy choice. The novocaine shot was painful, sure, but sitting in the dentist’s chair, holding the arms of the chair in a death grip and trying to retreat into my inner world while much earlier, much drier versions of dentist’s drills whined and smoked and chipped away the enamel around the cavity, touching the central tooth nerves with distressing and instantly excruciating frequency, wasn’t any walk in the park. In fact, it always hurt like hell, too. Our dentist, a kindly fellow, would notice my eyes watering and my lip quivering and ask if I was okay, and I would splutter, from a mouth filled with gauze and cotton, that I was fine — but of course I wasn’t. Those novocaine-free cavity-filling visits to the dentist seemed to last forever. Finally, after a particularly painful multi-cavity-filling visit, I decided that the next time I would try novocaine again. Sure, my initial encounter with it had sucked, but all of my friends and siblings seemed to go for it without much problem. Maybe I should change my position on this damned-if-you-do, damned-if-you-don’t choice? So the next time I visited the dentist I went for the novocaine. It wasn’t a pinch by any means, but this time it didn’t hit a nerve directly on the way in and it was . . . slightly better. It was my first experience with choosing between the lesser of two evils. Only much later did I realize that maybe I should make a more significant and potentially meaningful choice, to change my habits and improve my lax attitude to brushing and flossing and mouthwash and try to take steps that hopefully would eliminate the need to make such a choice in the first place. I guess that is called the maturing process. I’m in Akron tonight for a memorial service tomorrow for Aunt Bebe. It’s a sad occasion that brings me and other members of the Webner family here, but it’s also nice to be back in the city of my birth. 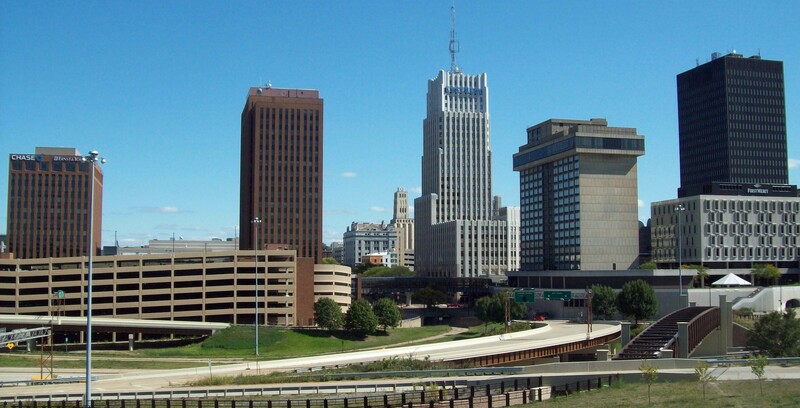 When I was young, everyone on both sides of my family, grandparents, uncles, aunts, and cousins, Webners and Neals alike, lived in Akron. It was the center of my little-boy universe. My first memories are of this place. It’s where UJ and I first walked to school and where the kids in our family played silly childhood games. It’s where I learned how to bowl, and made my first friends, and acquired my lifelong allegiance to Cleveland sports teams. Although we moved away more than 40 years ago and the number of family members who live here keeps dropping, I still feel a very strong connection to this city. Childhood memories are powerful and lasting, and it takes only a drive past a landmark — like the Summit Mall in Fairlawn — to awaken them and bring them surging back. I’ll be thinking about old times a lot over the next few days. Screen doors creaking open and slamming shut with a bang as kids came and went and exasperated Moms said: “In or out?” Baseball cards attached to bicycle frames with a clothes pin that were strummed by the spokes of the rear wheel and made a bike sound like a motorcycle. The hum of riding lawnmowers, as the neighborhood Dads cut the grass on their acre-sized lots. The fat from cheeseburgers sizzling on hot charcoal. And, as the evening arrived and shadows grew long, boxy Zenith and RCA radio units were turned on. The sounds of ’60s music floated out the open windows through the screens into the humid summer nights as the adults gathered on patios and kids ran around, waving sparklers or catching lightning bugs or playing flashlight tag. Martha Reeve and the Vandellas and Dancing in the Street. Frank Sinatra and Strangers in the Night. The early Beatles, the Beach Boys, and the Four Seasons. Dionne Warwick and Petula Clark. 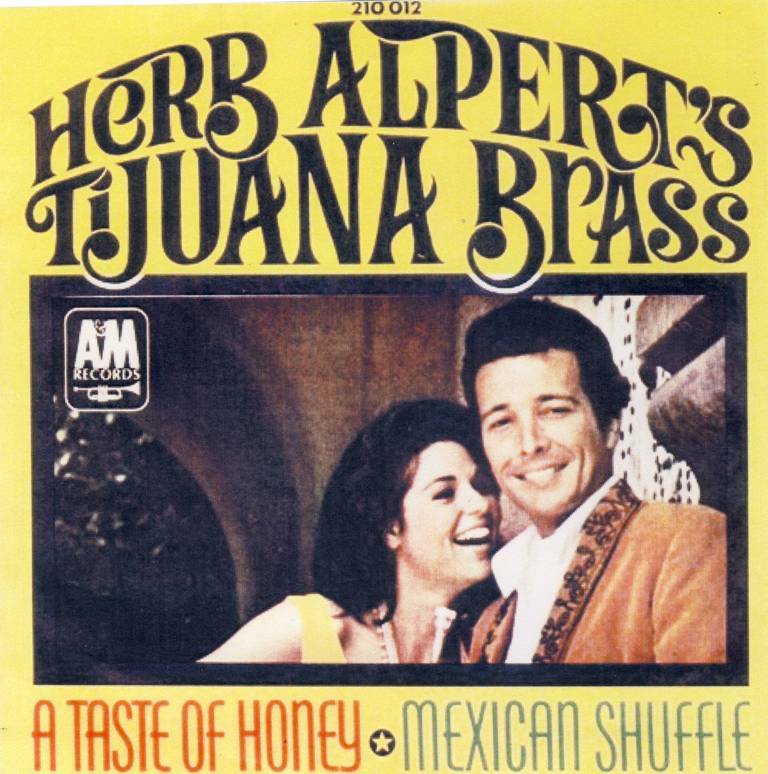 And, most of all, Herb Alpert and the Tijuana Brass, whose music perfectly captured the ’60s summer mood. Happy, bopping music, light and upbeat, infused with optimism, as the adults talked quietly and laughed about last night’s Tonight Show or reenacted one of the bits from the latest great Bill Cosby or Bob Newhart comedy album. When bedtime came, the beat of fans was still there, accompanied by the chirping of crickets and the buzz insects in the sultry air.